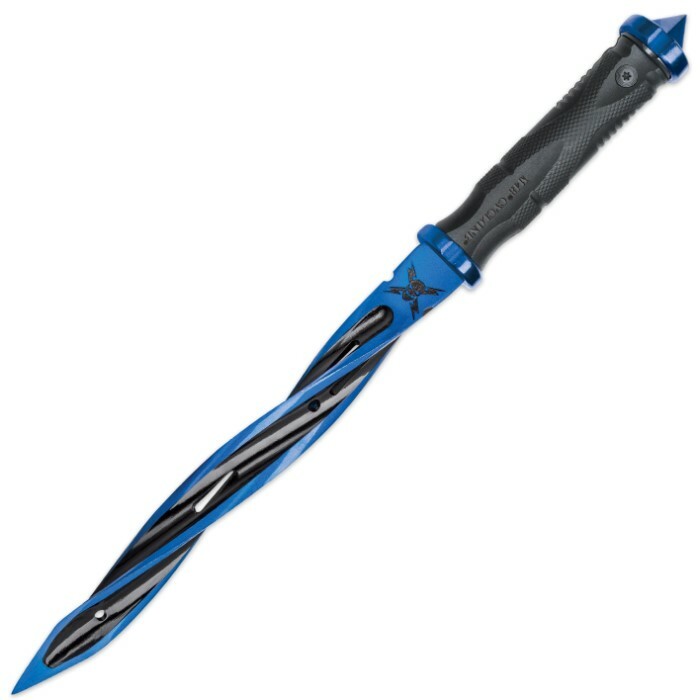 You have never seen anything that compares to United Cutlery’s blue, twisting masterpiece of design! 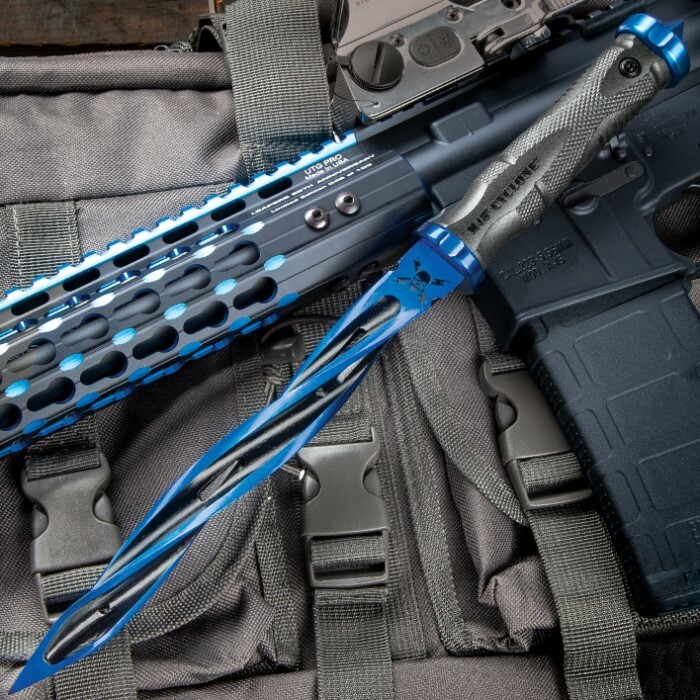 The blade slides into a custom Vortec belt sheath that fits like a glove and is virtually indestructible and the knife has an overall length of 13 1/2"
You have never seen anything that compares to United Cutlery’s new M48 Tsunami Force Blue Cyclone Fixed Blade Knife! 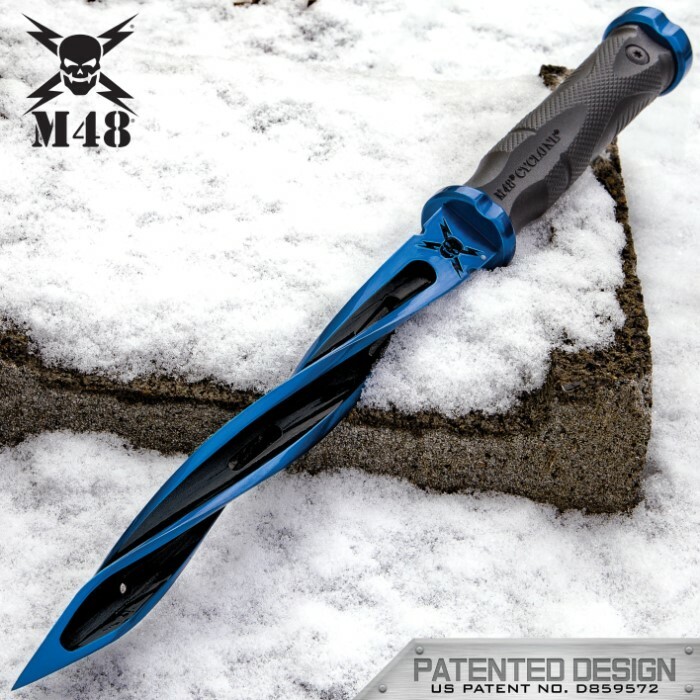 The blue and black, 8” cast 2Cr13 stainless steel blade has been crafted into a spiraling masterpiece of design, using temperatures up to 1,030 degrees, which gives it a 48HC. The three spiraling cutting edges come down to an incredibly sharp piercing point. As with all M48 knives, the glass-fiber-reinforced nylon handle gives you a strong and secure grip. The Cyclone also features a solid stainless steel hand guard and skull crusher pommel. The blade slides into a custom Vortec belt sheath that fits like a glove and is virtually indestructible. The fixed blade is 13 1/2” in overall length.